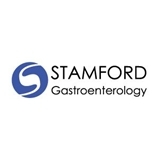 Stamford Gastroenterology (Stamford) - Book Appointment Online! Dr. Darlene Negbenebor is a board-certified gastroenterologist providing treatment for a range of gastrointestinal conditions and disorders in Stamford, CT. She has privileges at Stamford Hospital, the Tully Center, and the Diagnostic Endoscopy Center. She and her staff look forward to providing you with compassionate and responsive medical care. I went to Dr. Negbenebor with an embarrassing and concerning problem. She listened to my concerns without making me feel awkward, embarrassed, stupid, etc. She let me talk through my anxiety about the situation and never made it seem like I was over reacting. She took me seriously which sometimes doctors and specialists don’t do! When we talked about a plan of action she respected the fact that I preferred not to take a prescription medication if possible, and talked through other methods with me. She is extremely calm and soothing in her demeanor, making me feel really comfortable. What could’ve been torturous ended up being a really nice experience!